Welcome to Small Success Thursday, hosted by CatholicMom.com! Grab a cup of coffee, settle in, and let’s celebrate the good things that are happening in everyone’s lives this week! You don’t have to high-five yourself! Let’s high five each other! There’s only a week until Christmas! I’ve been busy trying to get some schoolwork finished around here, plus get those last few stocking stuffers, and write Christmas cards, and stuff them with letters, and also bake cookies. Because I always send cookies with Nathan for his office, as well as give them to the dance teachers at my younger daughter’s dance studio. Plus, Santa needs cookies, if you know what I mean (and I think you do). I promise I’ll share with him! I did decorate the house this weekend, though. My 16 year-old’s boyfriend (who lives in Washington State) is in town visiting his mother, and he came over to help decorate on Sunday. They did the tree and most of the inside, and I put up some decorations outside. Not sure if this was how they did it, though. So I guess that’s it for me! 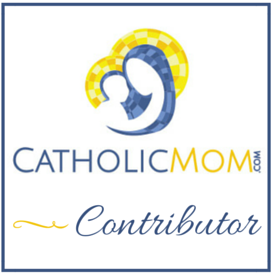 Be sure to go to CatholicMom.com and check out all the other Small Success posts this week! Give everyone a big high five! Small Success Thursday: Advent and Visitors!